Step out under the sky tonight and scan the heavens. Seek out a star, winking in the darkness, livelier than all the rest. 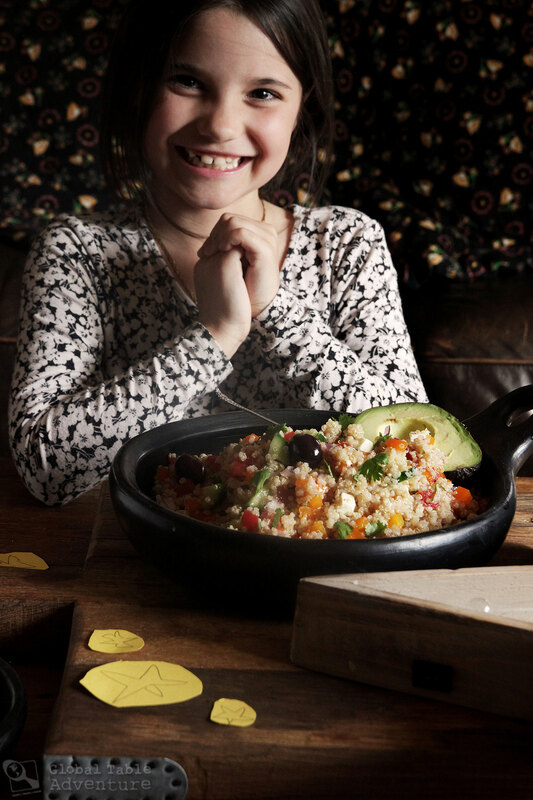 This, my friends, is the proud, playful star-sister who brought quinoa to South America. Legend has it that, long before hip, suburban health food stores stocked this comma-shaped seed, the Aymara people* of the Andes were given the gift of quinoa. 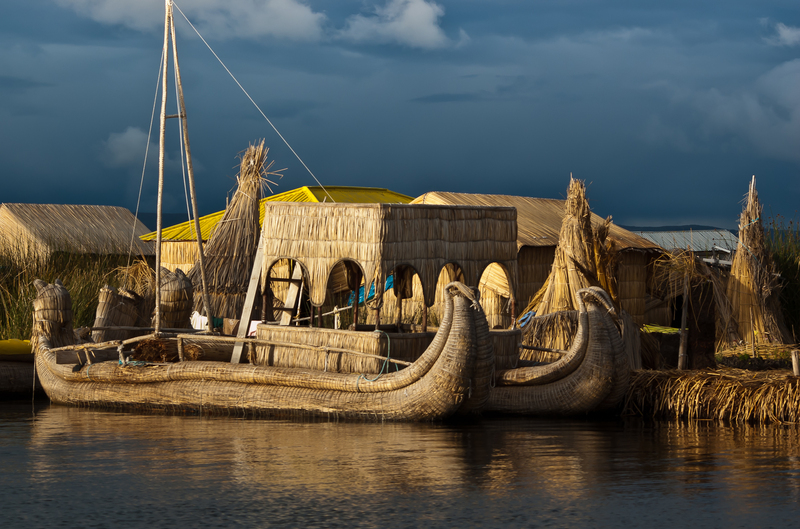 “An Aymara Village on Lake Titicaca, Peru.” Photo by World Wide Gifts. It was the Aymara’s first harvest, near Lake Titicaca. While toiling in the fields, the farmers noticed that someone had dug up and stolen some of their potatoes. Determined to catch the thief red handed, one young man decided to stay up all night and keep watch over the fields. The young man hid behind some bushes and waited. The hours slipped slowly by, leaves rustling in the moonlight, tempting him with sleep. He eyes began to droop, his back began to hunch. Suddenly, the sound of laughter rang out. He bolted up and peered through the brush. On the far side of the field he saw several young maidens – the star-sisters – come from the heavens to frolic on earth. In those days humans could speak to the stars. But the young man was more concerned with his crops than conversation. Determined to keep the stars-sisters from stealing more potatoes, he rang a bell in warning. The sound shook the still night air, startling the women. They scattered in all directions, one after another, disappearing up, into their heavenly home. But the youngest sister – the brightest, sweetest star of all – tripped and fell. Fearing that the young man would capture her, she turned herself into a bird and flew into the heavens as fast as she could, leaving behind a trail of light. 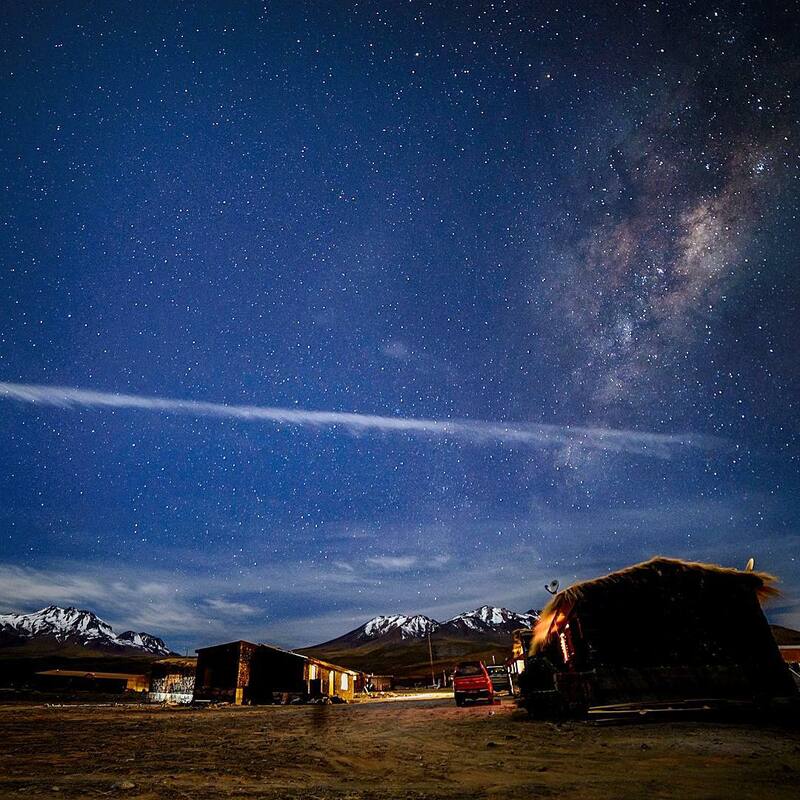 Milky Way over the Andes (Chile). Photo by El Gran Cazador. Entranced by this vision, the young man forgot about his potatoes; his only thought was to set eyes on the remarkable star-sister again. He immediately set off on a mountain trail in search of a condor to help him. This great bird is the largest flying bird in South America. The young man hoped it would carry him up, beyond the sky, through the Karman line at the edge of earth’s atmosphere, into space. And this is exactly what the bird did. 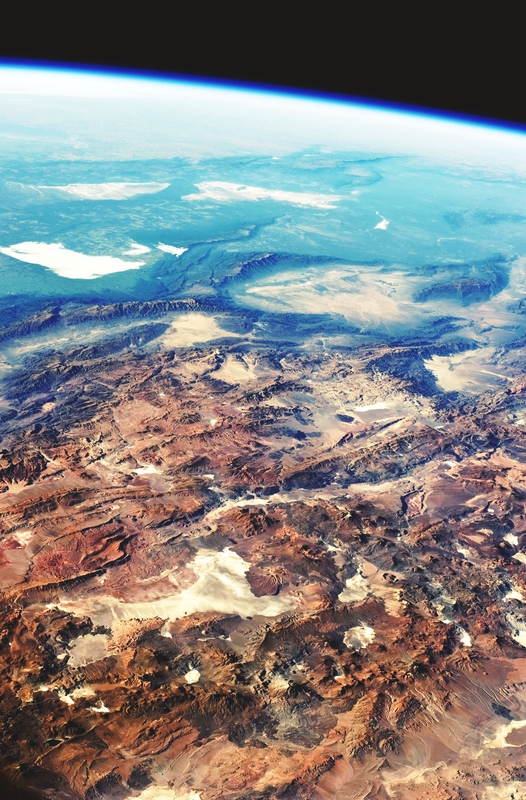 View of the Andes highlands (this section in Chile). By NASA Expedition 23 / NASA Earth Observatory. The condor flew the young man along the trail of light to the young star’s heavenly home, where the star and young man became fast friends. It wasn’t long before their friendship became bound by great love and the two were married. For many moons the young couple lived together in the sky. Day after day the star fed him her most prized food – quinoa – as a symbol of her love. The young man’s body was strengthened by the seed’s abundant protein, vitamins and amino acids. All was well. But as much as he loved his wife and new home, the young man yearned to see his family again. So, his bride sent him home for a visit on the back of the condor, with a gift of quinoa for his people. On his journey home, the young man scattered the seed in Andean highlands, where the superfood still grows today. 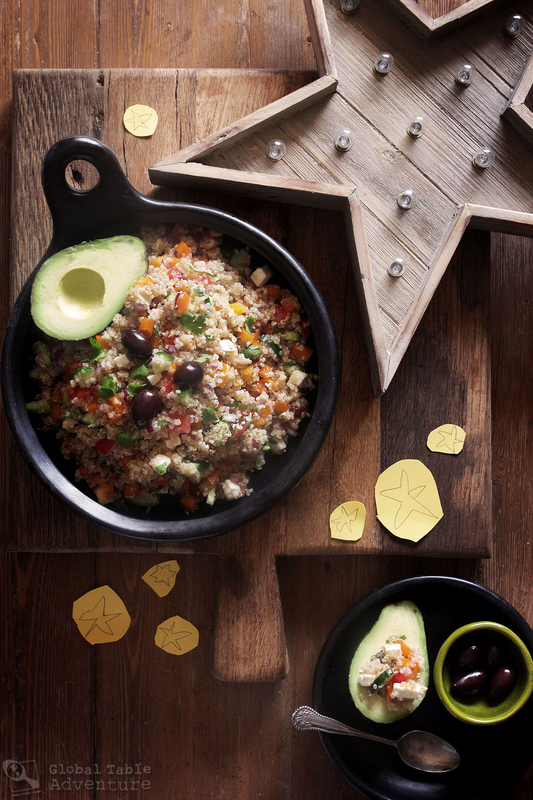 Quinoa remains the pride of the Andes and much of South American cooking. A true gift from the stars. I based the above adaptation on “El Origen de la Quinoa” (narrated by Gregorio Ordona). A copy of the original video is included below. This is one of many Peruvian legends about quinoa. 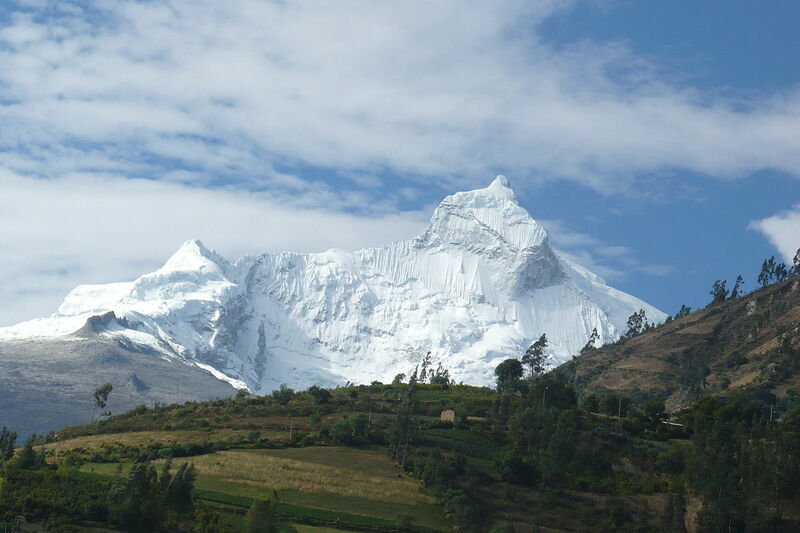 “Huandoy Mountain, Peru.” by Clarquitecto. 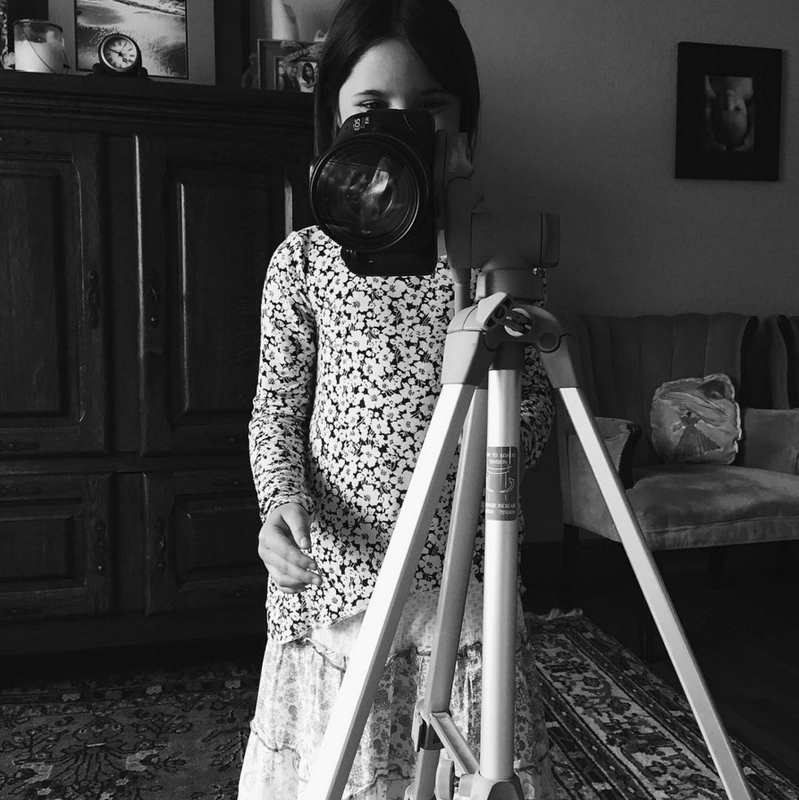 After years of watching me take pictures of food, my 6 1/2 year old daughter, Ava, is now showing an interest in the behind-the-scenes process. 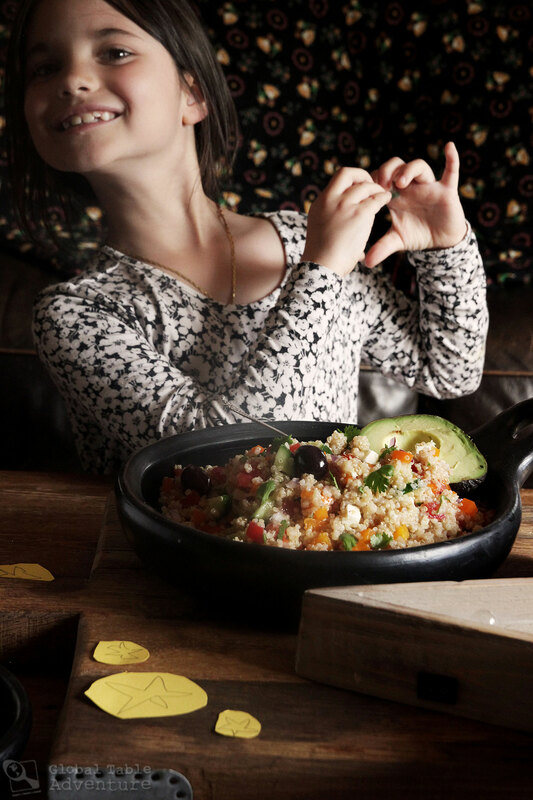 So I shared the Legend of Quinoa her, then invited her to help me style a simple Peruvian quinoa salad. She had so much fun. 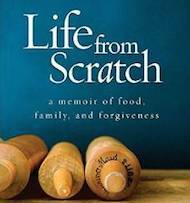 She drew stars on yellow paper, cut them out, and scattered them around the food. After the food was set up to her liking, I taught her to frame a photo (on the tripod), manually get focus, and – finally – to take the photo. Could I have taken the photos quicker by myself? If she hadn’t been there, would the lens have gotten a smudge on it, creating a soft blur to many of the photos, rendering them unusable? But if I hadn’t invited Ava to join me the photos – and the experience – would have lost their magic. 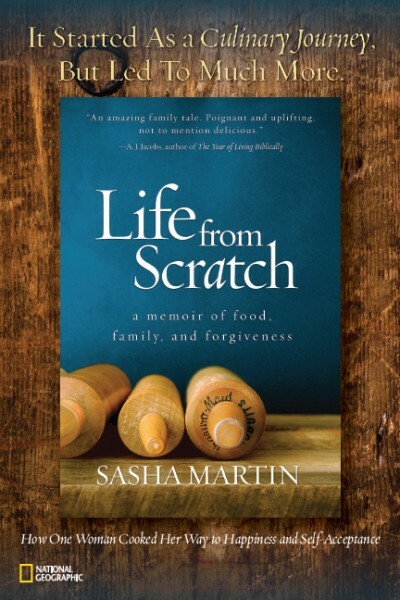 This experience was as much for her as for me… we laughed as she directed me to take bites, move in or out of frame. This was creativity in action. A bonding experience for mother and daughter. 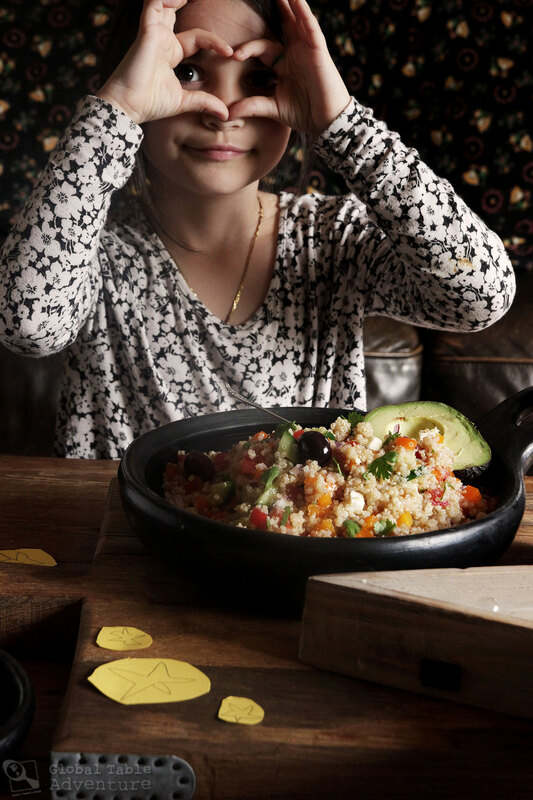 In between photos Ava took enormous bites of the Quinoa Salad. Even though she currently dislikes tomatoes. Even though she wants nothing to do with an olive. 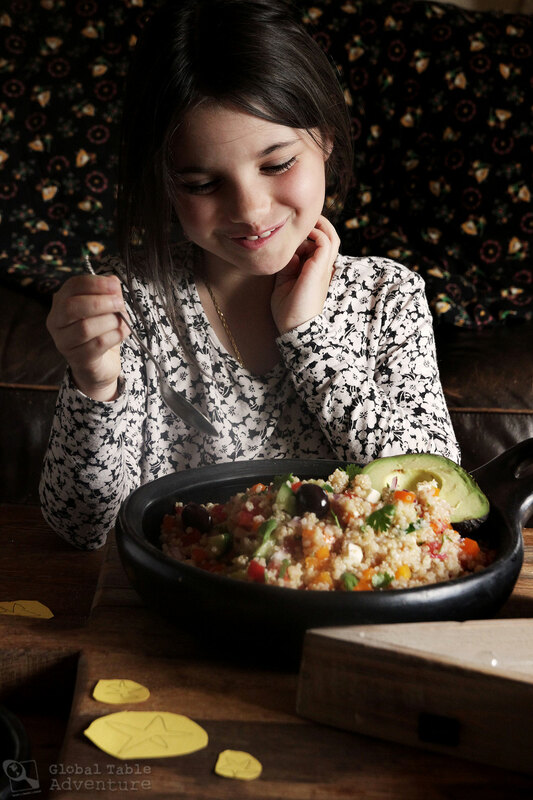 It’s simple, really: Involving children in the cooking, in the art of food – it gets them excited about trying new things. 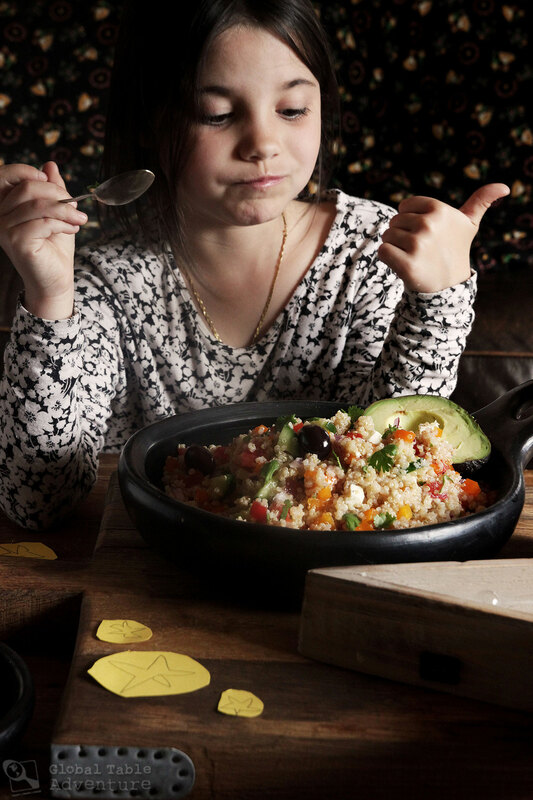 When you let your children have a starring role in the process, mealtime becomes better for all. 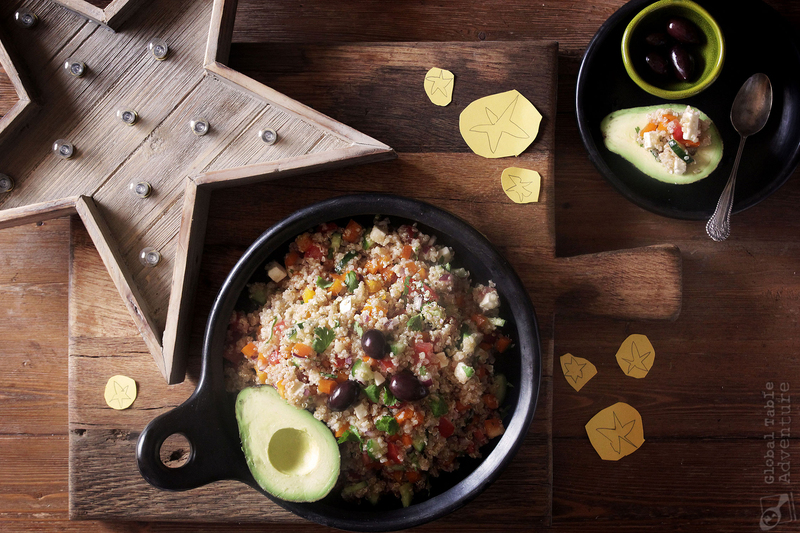 If you can cook rice, you can cook Quinoa… and putting it in your salad is the next logical step. This Peruvian Quinoa Salad comes together in less than thirty minutes and eats a bit like loaded tabbouleh (according to my husband, formerly known as Mr. Picky, who never used to eat salad, but gobbled this one down readily). 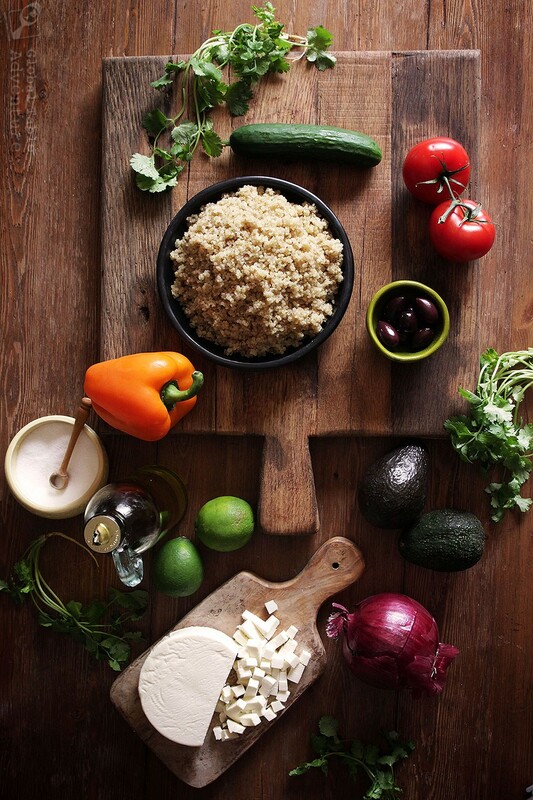 Quinoa has a slightly earthier flavor than bulgur (and unrinsed quinoa can even be mildly bitter). It also requires a brief stint on the stove – about fifteen minutes of cooking. 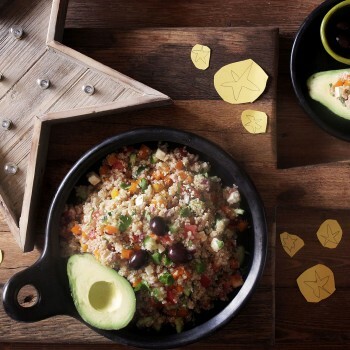 But, thanks to the tart squeeze of lime, mild queso fresco, and the salsaesque-flair of tomato and cilantro … well, there’s no doubt this Quinoa Salad is South American. Salt is the key to making the lime juice “dressing” pop – think of how much a salted rim makes a margarita sing… that’s what you’re looking for with this salad. Take it on a picnic, pack it in a lunch, or just eat it straight from the fridge with a spoon. As for the fancier among you, perhaps you’d like to serve it in, or with, an avocado half. 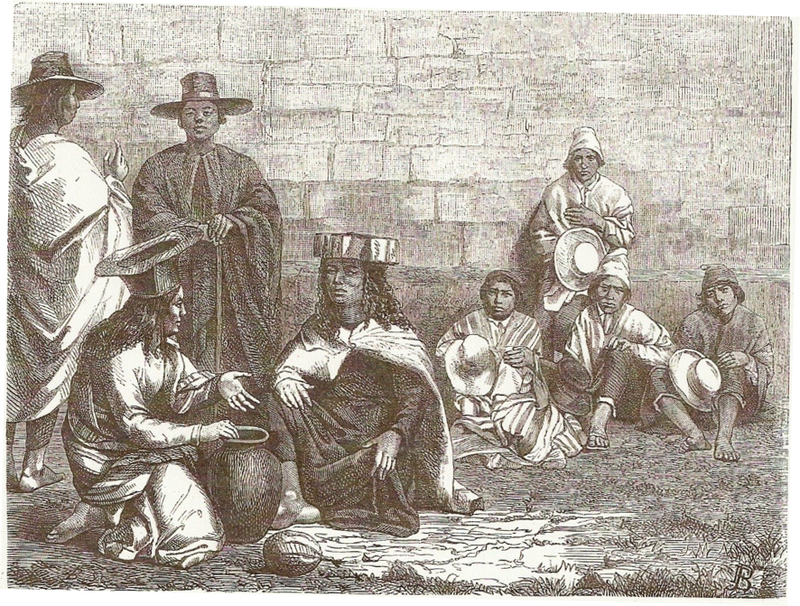 *The Aymara people lived predominantly in the Andes throughout Peru, Chile, and Bolivia. For this reason I’ve used photos of the Andes in multiple countries. All are clearly marked. 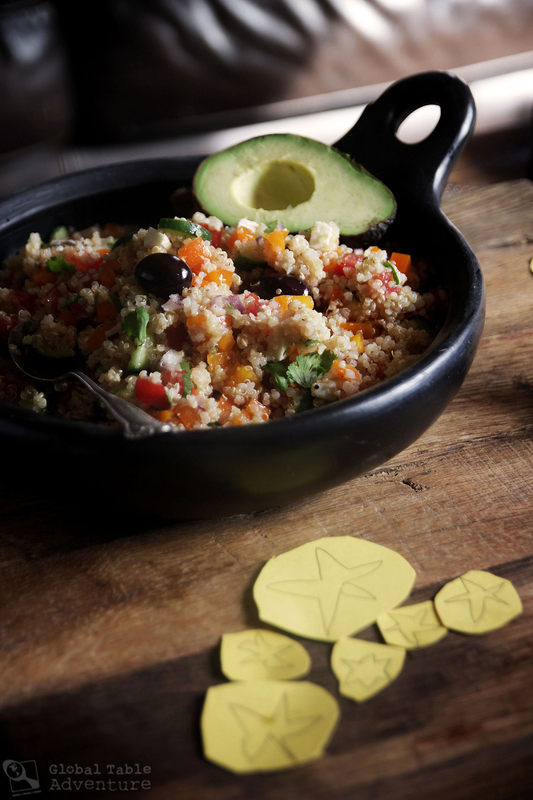 If Quinoa is a gift from the stars, then this salad is your ticket to celestial joy! You can eat it as soon as it's mixed up, but 30 minutes gives the salad time to mingle and get happy. Toast the quinoa in a small, dry pot for five minutes over medium heat, until fragrant. Add water and a half teaspoon salt. Bring to a boil, then cover and reduce to a simmer. Cook about 15 minutes, or until the quinoa becomes translucent, uncoils and resembles tiny edible commas. Set aside to cool to room temperature. Meanwhile, chop your way through a happy pile of vegetables. 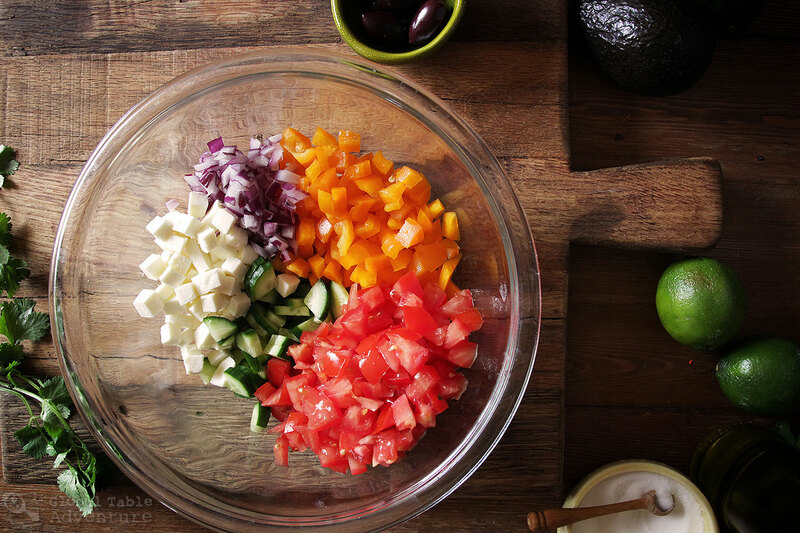 Toss everything in a medium bowl. Season liberally with salt - the lime juice will seem overly sour until the salad is seasoned properly. I used about a teaspoon - just add a little at a time until you like it. Garnish with olives and cilantro, as desired. 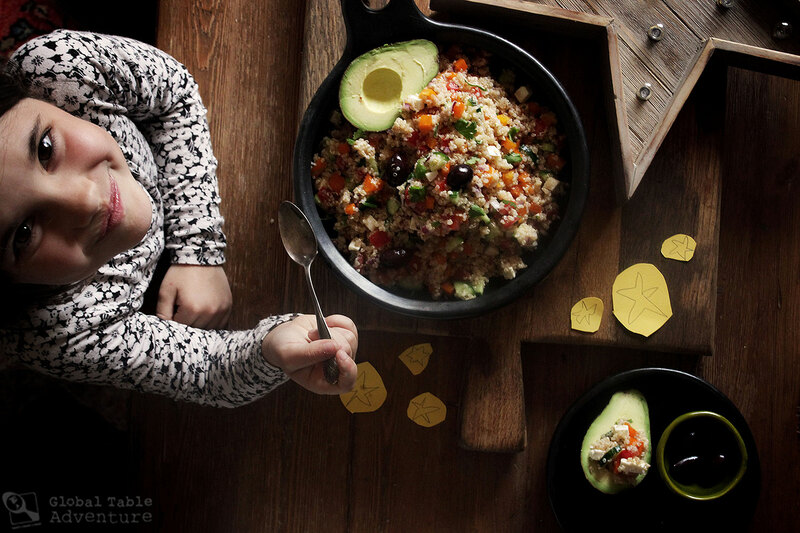 Serve in (or with) avocado halves. I love finding this recipe. 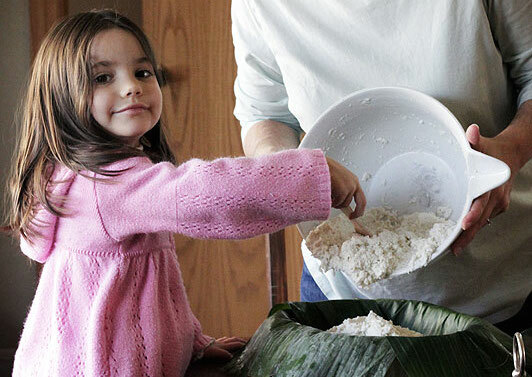 My daughter just married a young man from Peru and I wanted to find foods that I can make from his and his parents country.